Recalling the exhibits shown at Somerset House in London. 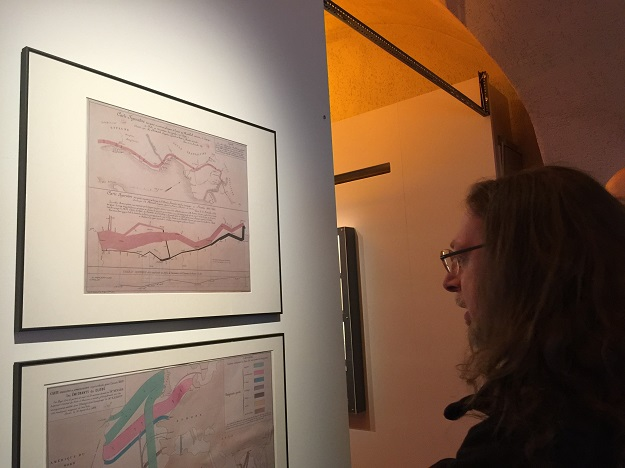 Last week Donald Farmer, James Richardson and I met with David Reed from DataIQ for a chat and wander around the Big Bang Data exhibition currently showing at Somerset House in London. The exhibition draws from a diverse group of artists and designers, some who are data practitioners and others who are dabbling in data as a medium or as a means to support a bigger idea. It was a great to see some of the data literati alongside historical influencers and pure artistic endeavors. This created a great setting for inspiration and discussion. After perusing the history of data containers (punch cards, through to floppy disks and on to DNA) the John Snow map caused a little chuckle, as the description trotted out the myth of how it was used. 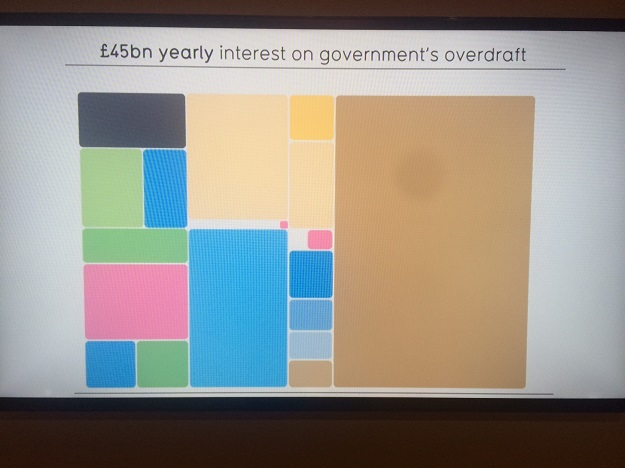 This got us talking about narratives and how even a great visualization may be missing key data and often can’t avoid suggesting an idea or agenda. This was beautifully illustrated by the Charles Joseph Minard map of Napoleon’s Russian campaign. Although an instrumental map in the development of data visualization, it tells you nothing about why or how so many of the French troops died before reaching Moscow, but it does falsely imply the winter had something to do with it (but that’s for another post). The pieces and topics at Big Bang Data range far and wide, but one of the intriguing things we found was how the screen-based (at least the small screen) projects were much less engaging than the tangible ones. The posters, prints and artifacts were a lot more compelling. Getting a chance to see the Nightingale Rose (the first polar area diagram) and Stefanie Posavec and Giorgia Lupi’s wonderful experiments in personal data vernacular with the Dear Data project was a real treat. There were a few large screen installations, but unfortunately none seemed to be interactive. 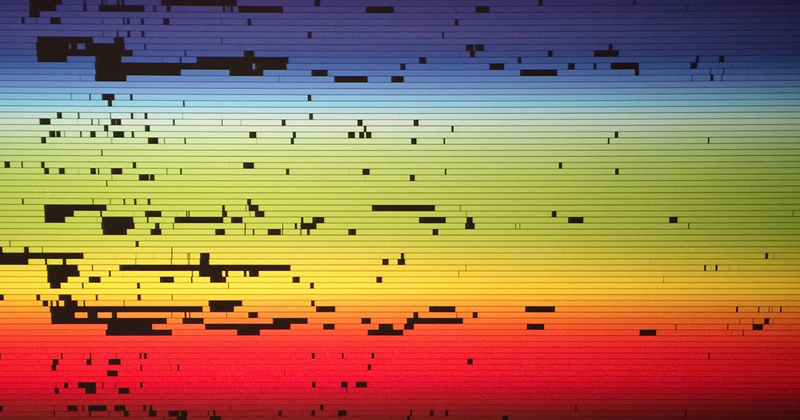 They focused more on data as a medium for visual expression than on subject or meaning. It wasn’t that the screen-based projects were less interesting, it was the context in which there were presented. The Selfiecity project by Lev Manovich and Moritz Stefaner is a fascinating project, but when reduced to a small monitor in a large space, access proved difficult when part of a larger group in an exhibition setting. The exhibition context meant that all screen-based interactive projects needed large scale touch screens to get me engaged. Let me play and more importantly let me play with others. The video-based storytelling worked well as to sit and watch a screen is an established activity in a gallery space. This passive consumption of a story or data narrative via a visualization plays particular well to infographics like those of David McCandless, where his agenda or idea is core and there’s no opportunity to challenge it. Seeing data being used in these diverse and inspiring ways makes me all the more convinced that we must give people the opportunity and means to question and explore the data we serve up to them. Presenting data as unquestionable artifacts set in stone (or paper, or PDF, or PowerPoint) that are intended to prove beyond a doubt what you are saying is correct relies on acceptance and trust from those consuming it. But I’m not a fan of blind obedience, as it’s open to bias and deceit. If as Rahul Bhargava and Catherine D’Ignazio suggest “data literacy includes the ability to read, work with, analyze and argue with data”, then we have to do more to help others engage in the debate. That means opening our closed arguments and enabling exploration and the means to question what we say the data means. 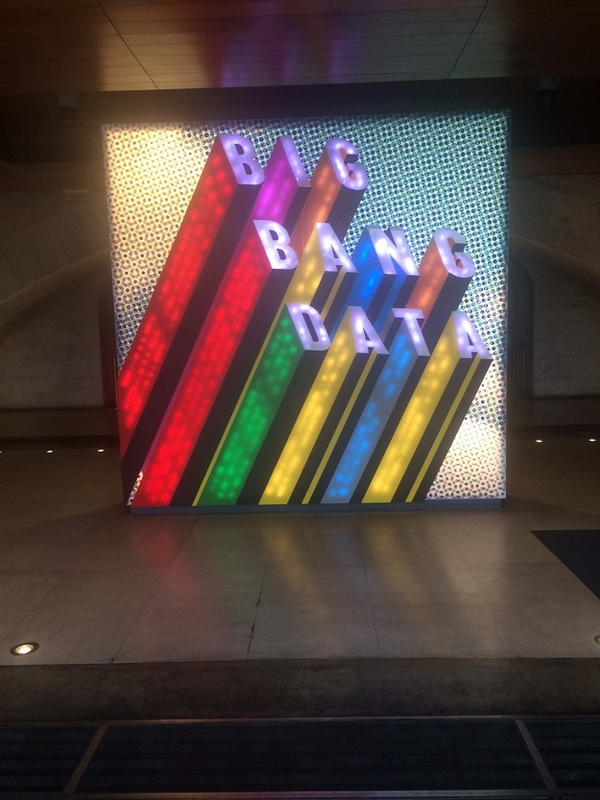 Big Bang Data was well worth the visit as underlying many of the pieces was a passion for the democratizing of data. I’d just liked to have seen a little more of that for the audience. Images: James Bridle "Fraunhofer Lines 002" (2015), Morag Myerscough "Big Bang Data", David McCandless "Debtris" (2010).